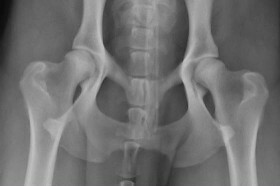 Check out our page showing 10 week old Rottweiler puppies hips. 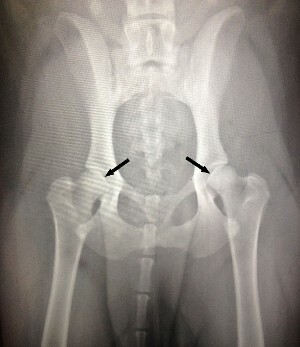 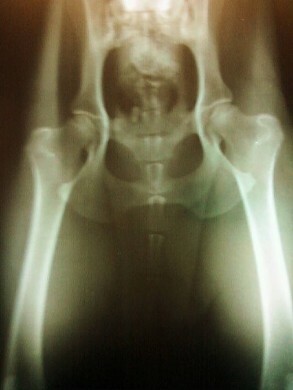 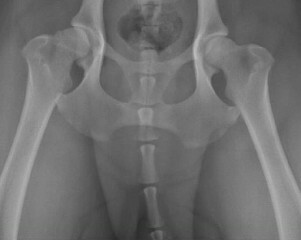 Please read environmental hip dysplasia - Improper Diet causes hip dysplasia. 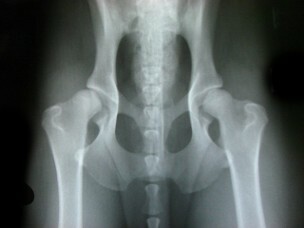 DISCLAIMER: Von Der Musikstadt is not a Veternarian or health care professional. 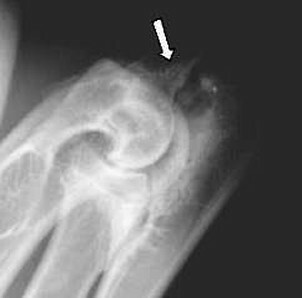 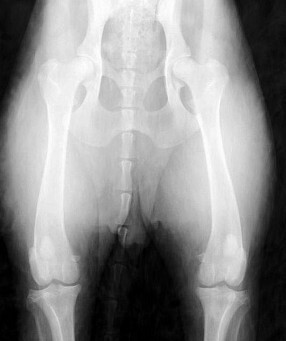 The Information I have on this website is my own personal X-rays photographed by my Verernarian and rated by OFA, some X-rays were emailed to me by my Vet and by friends, with permission to use. 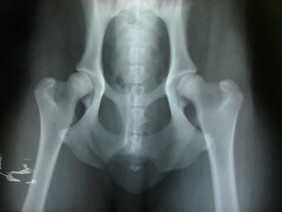 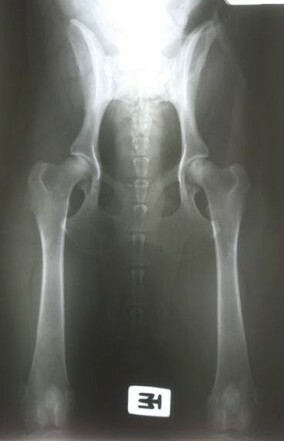 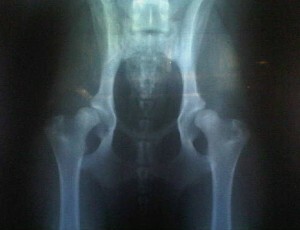 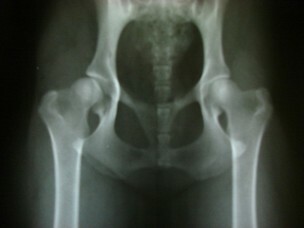 If you want more information and picture of Hip X-rays please check out the links to the right. 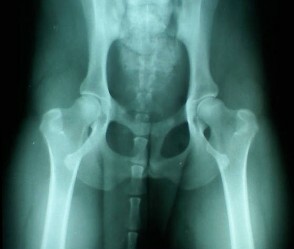 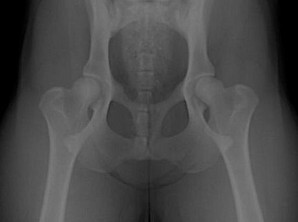 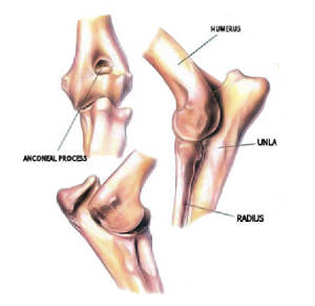 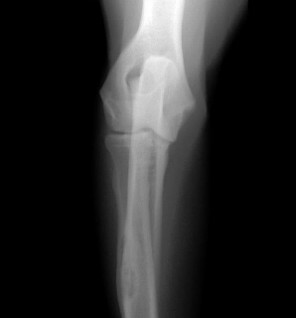 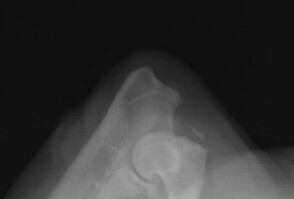 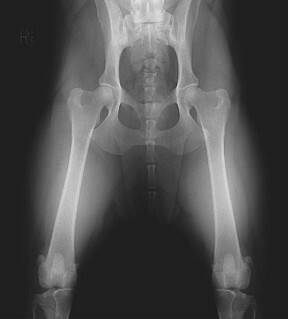 There are hundreds of web sites that show X-rays for a reference, but If your dog may have Hip dysplasia, I suggest to bring your dog to a professional Veternarian that has several years experience in positioning your dogs hips for a accurate reading. 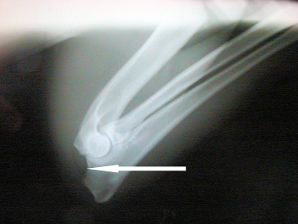 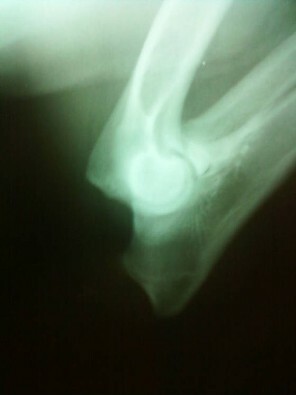 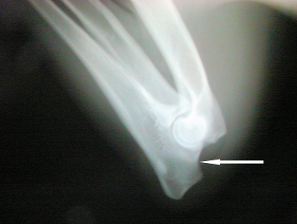 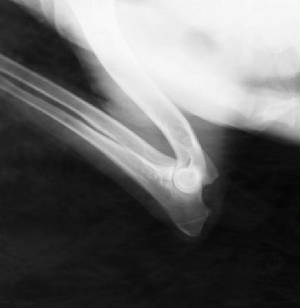 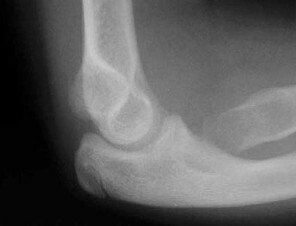 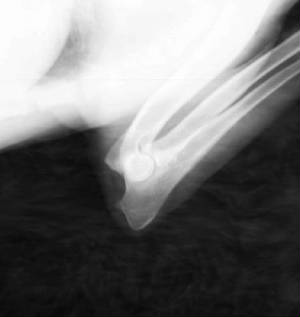 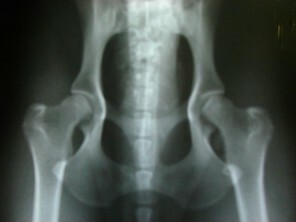 Both joints equal in the socket, balls show slight flat spot, but this can be the point of "muscle to bone" connection. 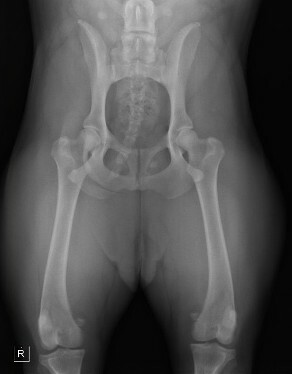 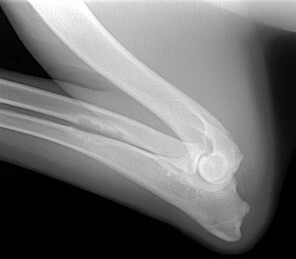 Xray was slightly off but over all excellent xray. 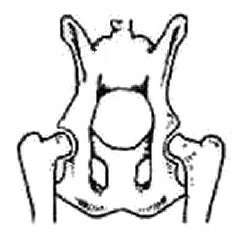 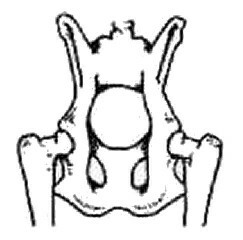 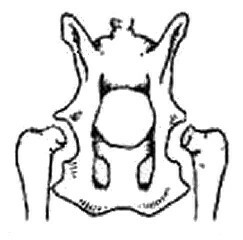 Pelvis is very thick, openings of holes on both sides of spine are equal. 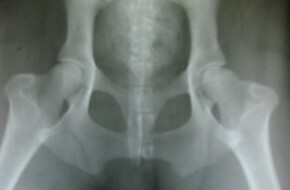 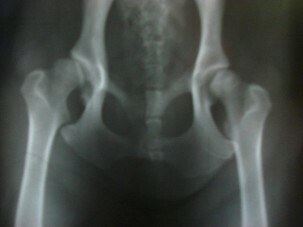 This means there was no rotation from left to right of the pelvis. 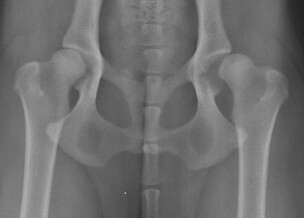 Prelims are dogs under 24 months old. 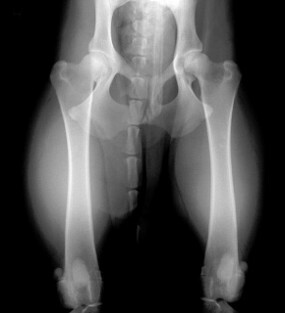 A prelim is normally done before 12 months of age to determine if the puppy should be used as a breeder to continue the bloodline or pedigree. 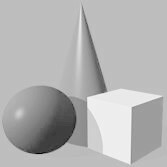 What is OCD, FCP, & UAP?